Our partner CREAF has presented its annual monitoring report on the state of the Catalonian forests (DeBosCat) for 2016. The year was characterized by an extremely dry and hot summer, which has affected large parts of the forests of Catalonia. 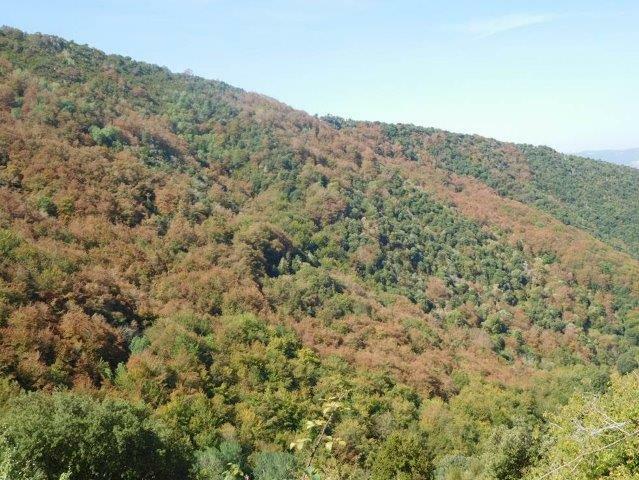 A total of 2,2% (30,052 ha) of the Catalonian forest mass shows signs of mortality, decolourization or defoliation, of which almost 60% has been caused by the extreme droughts of last year. Of these affected forests, 75% is located in areas that received less than half of the normal annual precipitation, most of them in the counties of El Pallars Jussà, Anoia and Alta Ribagorça. The droughts affected mostlybroadleaf species, such as English Oak (Quercus robur) and Holm Oak (Quercus ilex). The whole article (in Spanish) can be read on the webpage of Ecoticias.com.